System that increases the scalability & high availability of the servers that provide access to data. Specify how requests to a certain IP address & port range are handled. What is the filtering mode? Multiple hosts All NLB nodes respond based on the weight assigned to each node. 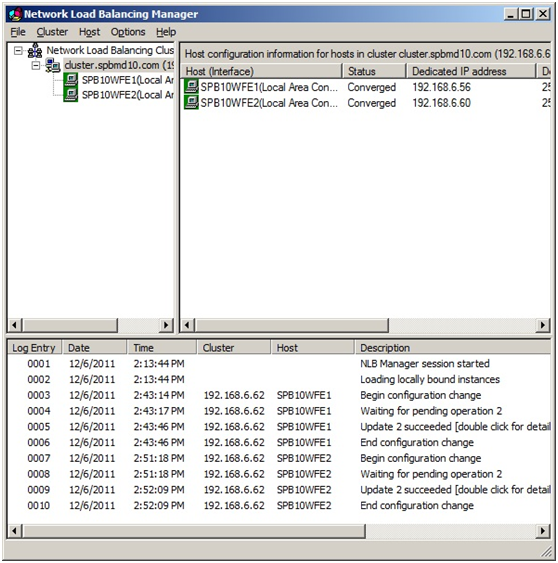 NLB is a feature installed on any Windows Server 2008 system and optimized for IIS. 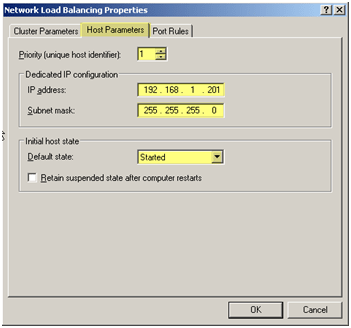 It provides basic level of software load balancing. The scenario is that we have 2 or more web fronts (SharPoint 2010 farm) with two or three IPs that participates in load balancing and create a single virtual IP to our users and NLB decides which web front would serve the users via priority. NLB reduces the load on a web front end & provides quality of f service to users. In this topology above two servers, SP2010WFE1 and SP2010WFE2 and we will install NLB feature at both the machines. We present to our users a single virtual server with host name to Portal and IP address of 192.168.10.10. Add NLB feature at both SP2010WFE1 & SP2010WFE2 as NLB feature has to installed on both the machines. The Priority would be first server. 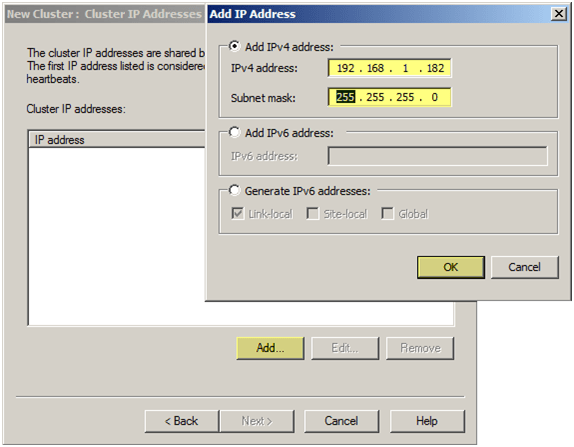 Now we set up the cluster which is called as virtual IP address (VIP). 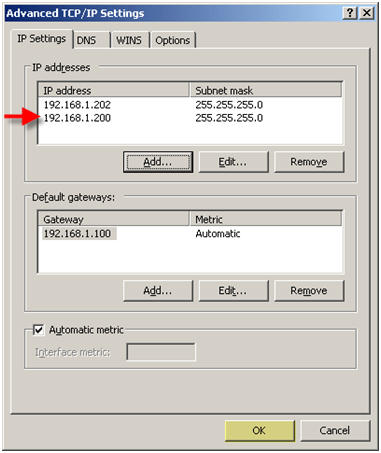 The IP address that is NOT taken and we cant use SP2010WFE1 and SP2010WFE2. It should be unique. I created a new IP address 192.168.10.10 as the cluster IP address. 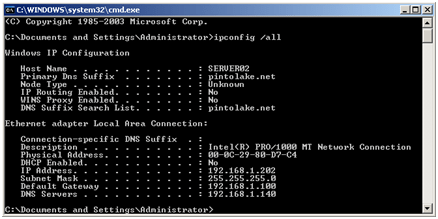 In the cluster IP configuration, I supplied full internet name as portal.contoso.com (I will create a DNS entry in the later step) and in the cluster operation mode to be Multicast. Click the “Finish” button and kept the default settings. Note: Normally in the production environment, we have to limit this because only NLB nodes should be participated. Thus, we can customize the port rules for the production environment. In my example I have only two nodes, i.e. 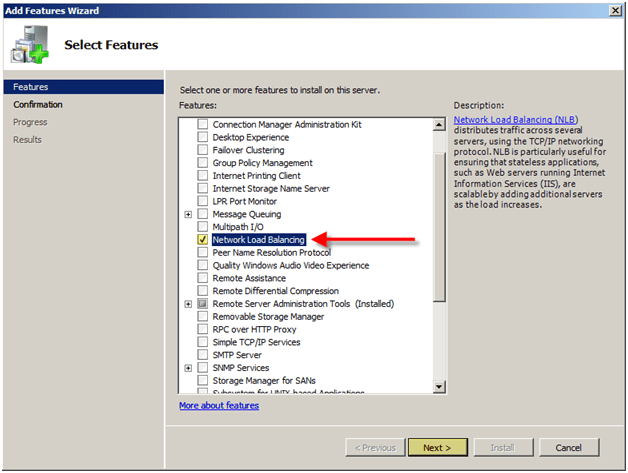 SP2010WFE1 and SP2010WFE2, so I keep it default settings. 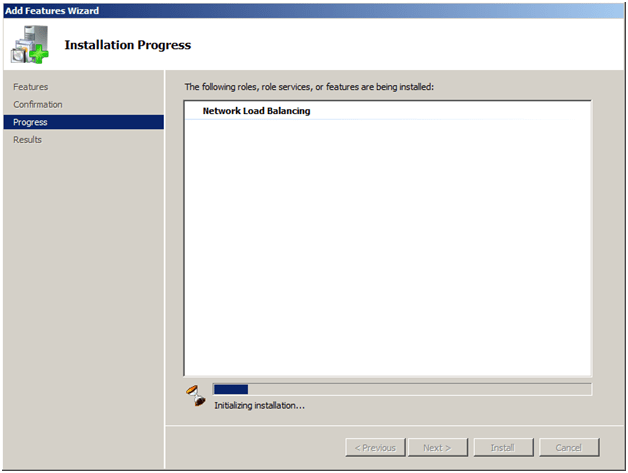 Now, we add the second server (SP2010WFE2). I put this server’s priority to 2. 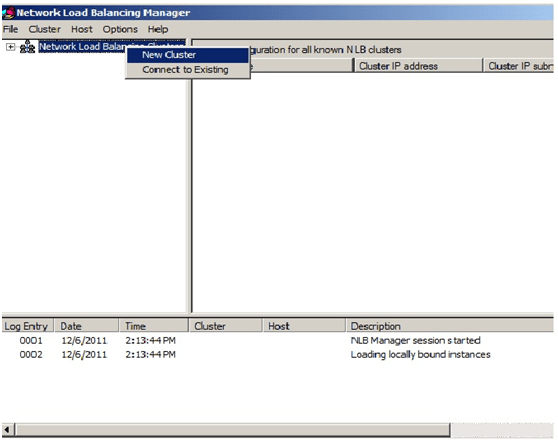 Its waiting time for both the nodes to be converged and keep refreshing the NLB manager till both the nodes are converged. 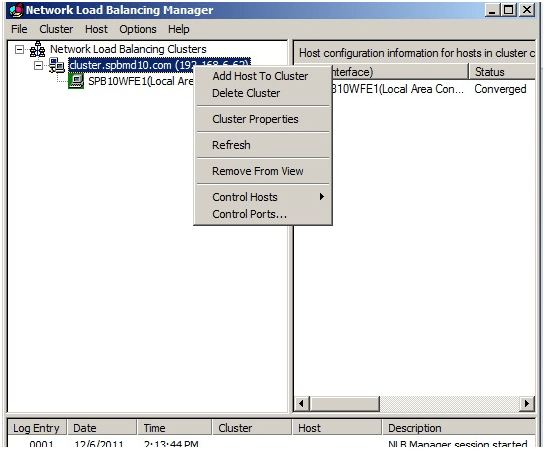 We now switch to SP2010WFE2 server and we will observe that both the cluster nodes have been automatically converged. Please note it will take some time to converge the nodes. 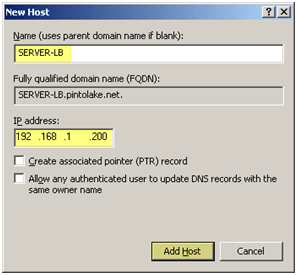 On the IIS manager, right click on “SharePoint – 80” web application >> Edit Bindings >> Add a new host name. I tried the administrator log in credentials numerous times but my attempts went in vain. I again researched and tried to make NLB cluster working. I found that from different blog posts about the same issue and found a workaround. 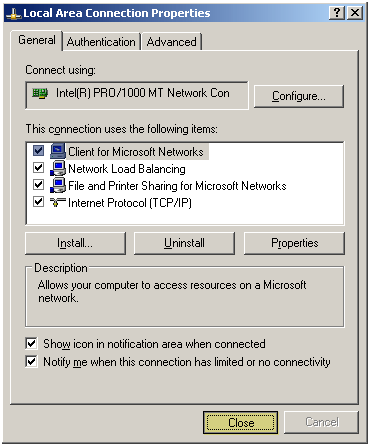 Step7: DisableLoopbackCheck on Windows Server 2008 R2 server. 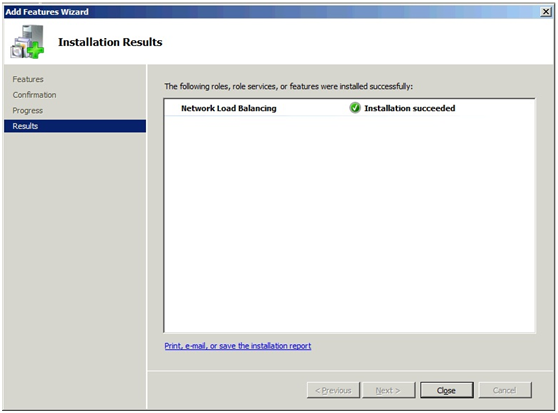 Windows Server 2003 SP1 and Windows Server 2008 introduced a loopback security check according to Spence Harbar & mentioned that its a Microsoft security feature. Please refer to his blog about more details. Even I faced the same issue when I typed in the http://portal.contoso.com and constantly prompted for the username and password. There is Microsoft KB article 896881 and I followed Method 2. It fixed the issue for me. 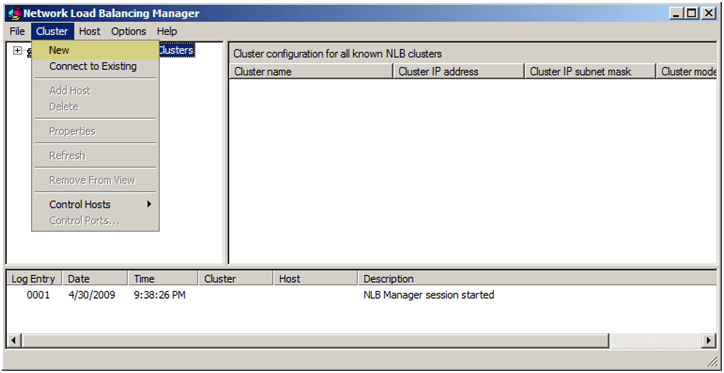 For testing the NLB cluster, I navigated to SP2010WFE1 server and stopped the server. I was able to browse both at SP2010WFE1 & SP2010WFE2. 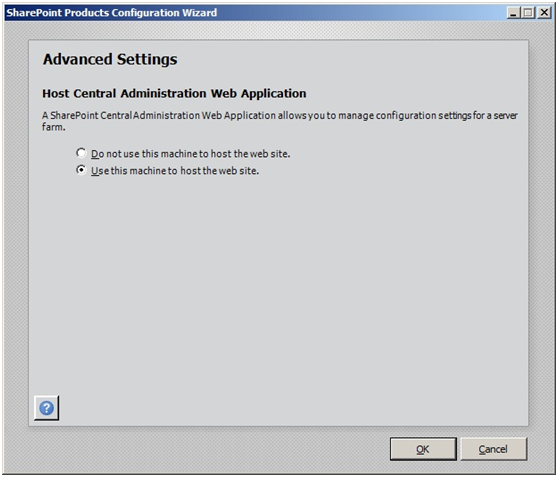 If I stopped both the nodes, I was not able to browse at either of SharePoint Web Front Ends. As the memory become really cheap now, a couple days ago I have updated my laptop memory to 12g. Plus I got my old desktop ,now I decide to build my own SharePoint farm at home. I decide to document the steps to build a simple SharePoint farm. I will use VMware for desktop virtualization and windows server 2008 r2 as the operating system. Open the command line by going to run and type CMD and then type dcpromo in the command line. The AD Installation wizard will prompt and click next. 2. Click next as shown in the screenshot. 3. Select creates a new domain in a new forest and click next. 4. Type a domain name (e.g. ybbest.com) and click next. 7.You might get scary prompt like the screenshot below , just ignore the message and click Yes. 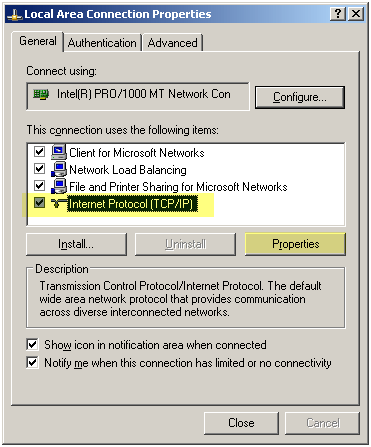 10.Click Next and restart your computer ,this will install your Domain Controller. 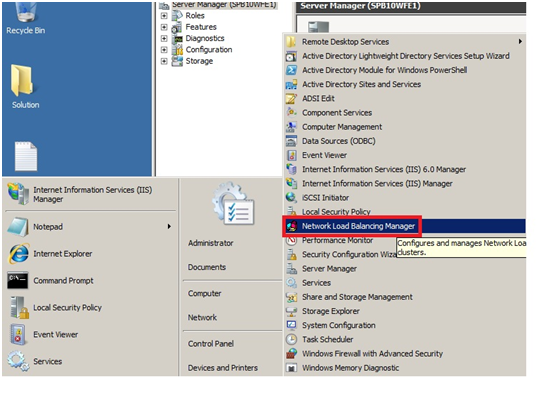 I configured one of the VM to be my Domain Controller in my development SharePoint farm.In this post I will show you how to install SharePoint2010.I have already got an VM with SQL Server 2008R2 installed. 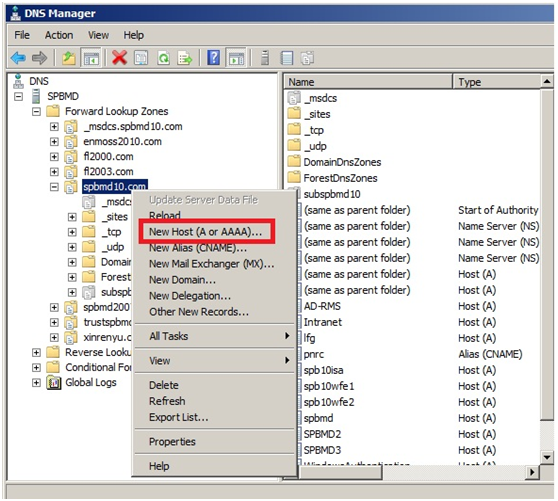 1.Create a domain user called sp_admin. a. right click the domain. b. Click next of the delegation wizard. c. Select the user to create the delegation. g. Click finish to complete the delegation. 3. 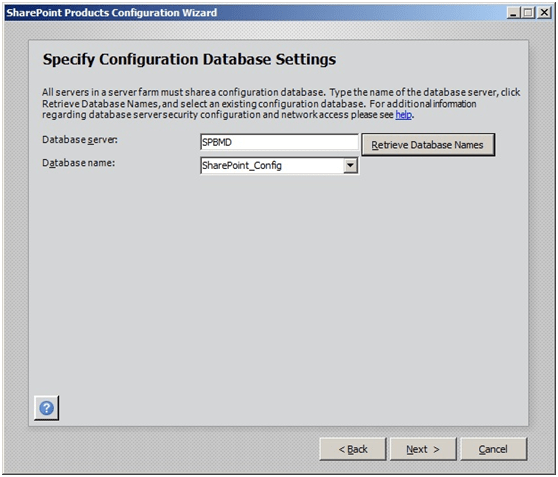 In SQL Server2008 , assign user sp_admin to DBCreator and DBSecurity group. 4. 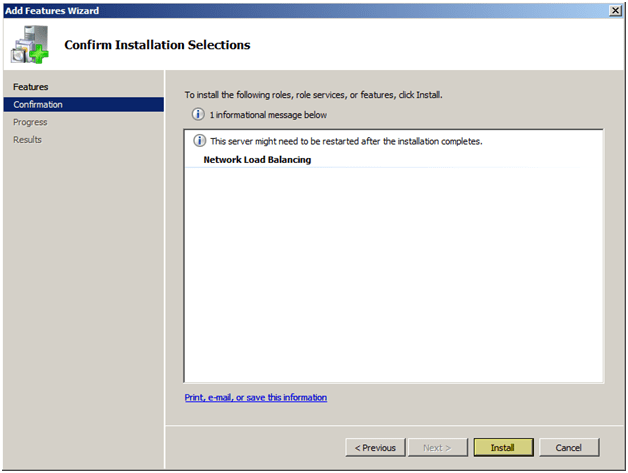 After configuring the user, we can start installing SharePoint2010,run the SharePoint2010 installer. 5. Click Next to install all the prerequisites. 7. After the installer completes, SharePoint configuration wizard will launch. 9. Choose your database server and your domain account. 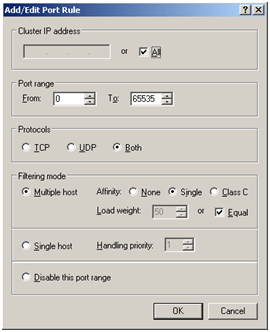 10.Configure the port and security settings. 11. Set a phrase, this is needed when you add server to the farm. 12. Click next to start the configurations. 13. After the configurations, you can see the details for the farm. 15. After the configurations complete, you will see the details like below. 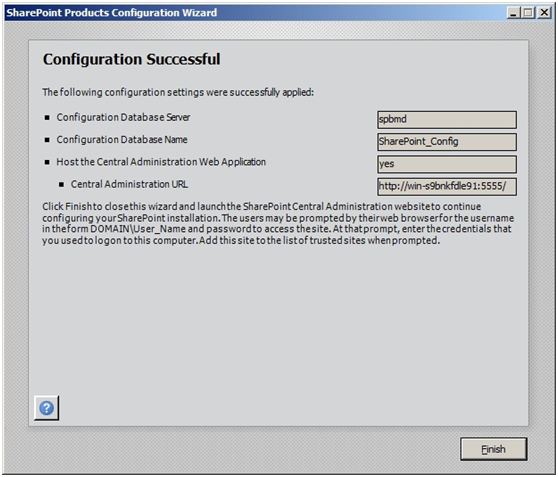 I have installed SharePoint2010 in one of the server (WFE One) and configured using the OOB SharePoint configuration wizard. 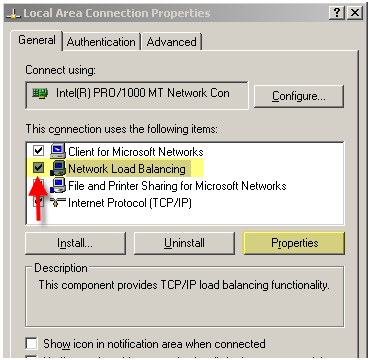 In this post I will show you how to use OOB windows network load balancing to distribute load for SharePoint2010 site. 1. 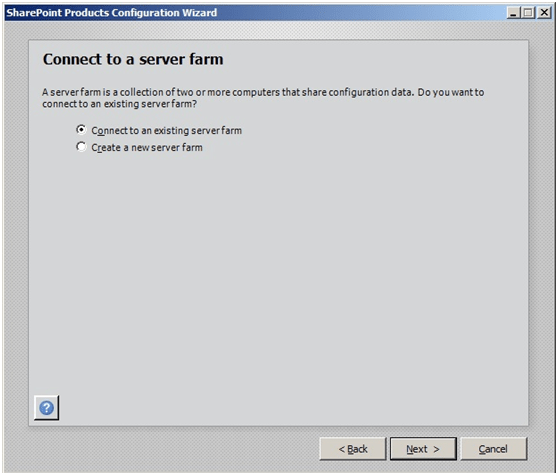 Install SharePoint in another server WFE Two (you can follow the steps in my last post), but instead of choosing create new Farm, you need to select “connect to existing farm” this time. 2. Click next then click retrieve database names button and select the farm configuration database. 3. Click next and enter the passphrase you specified when you first installed the SharePoint Farm. 4. Click the advanced settings and select Use this machine to host the web site. 8. 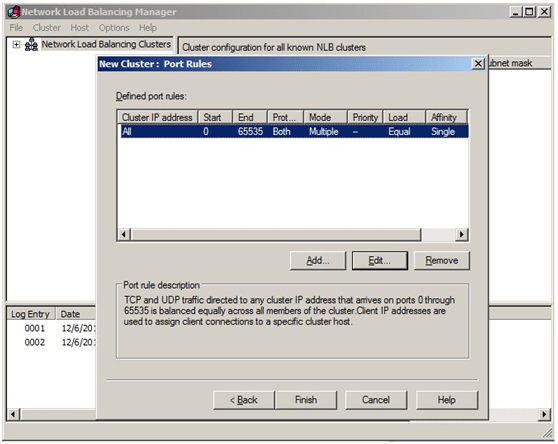 Right-click the Network Load Balancing Clusters Node and select New Cluster. 9. Type in the host name that is to be part of the new cluster. 10. 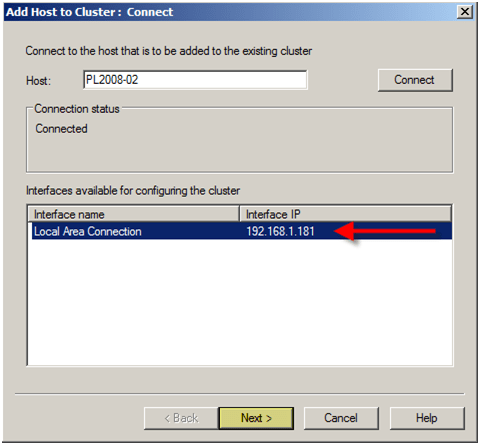 Type in the IP address for the cluster. 12. 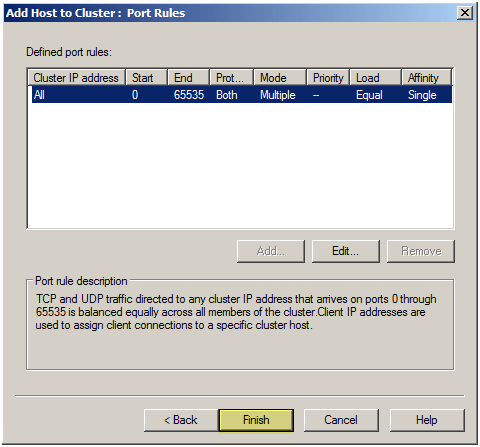 You can configure the Port Rules for the clustering , but I will leave the default here. 13. Add another WEF to the cluster. 14. Type in the host name that is to be part of the new cluster. 15. Set the Priority to 2. 16. 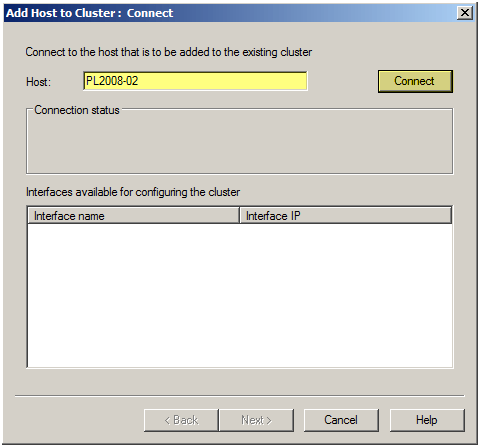 Click Next to complete the cluster setup. 17. Create an entry in the DNS for the new cluster. 20. Browse to http://Team , you will be redirected to the SharePoint site. As we know, in medium or large enterprise, there are two or three tires in SharePoint Farm, generally including three kinds server: Data server, App server, WFE server. WFE server is used to handle requests from customers, the frequent requests from a lot of users maybe bring out maximum load to WFE server, so it is necessary to build multiple WFE servers to distribute the load, this post will teach you how to complete the configuration step by step. Part2 Add the feature Network Balancing and configure the cluster. 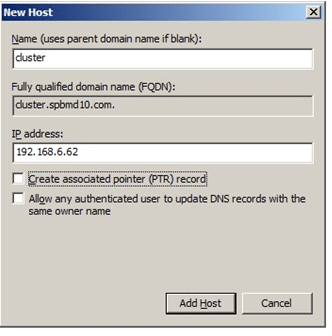 Part3 Create an entry in the DNS for the cluster. Assume one WFE server has been added to your SharePoint farm, now let’s add another one. 1. 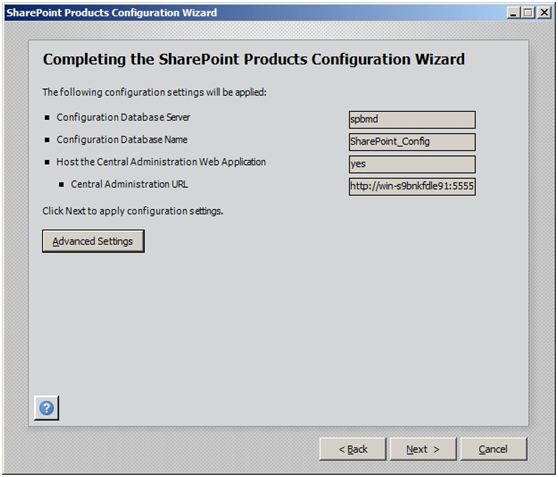 Install SharePoint in another WFE Server and enter the configuration wizard, connect to an existing server farm. 2. 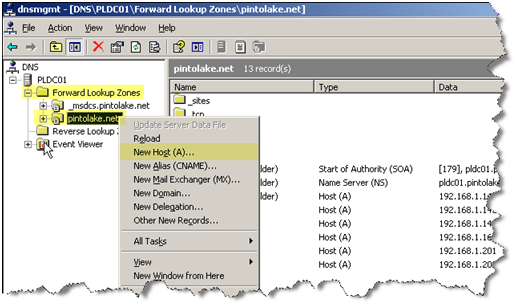 Click Next then type database server name, click Retrieve Database Names and select the farm configuration database. 3. Click Next and input the passphrase which you have specified when you first install the SharePoint Farm. 4. Click the Advanced Settings and Select User this machine to host the web site. 5. Click OK to finish the configurations. 6. 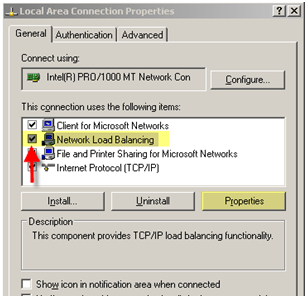 Now install the feature NLB(Network Load Balancing) in the two WFE(web front end) SharePoint servers. 7. 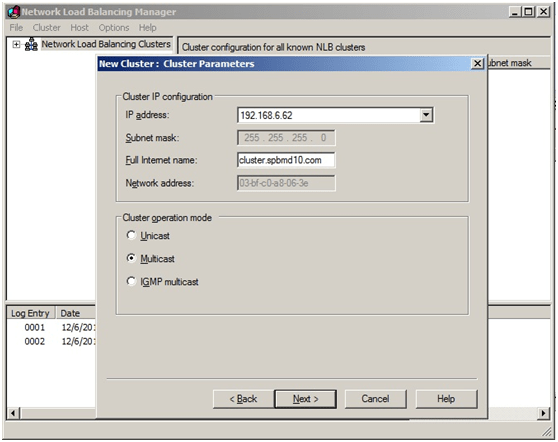 Configure NLB and create a cluster, Go to Start>Administrative Tools>Network Load Balancing Manager. 8. 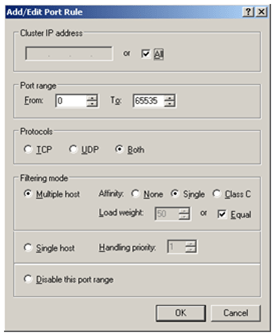 Right-click Network Balancing node and select New Cluster. 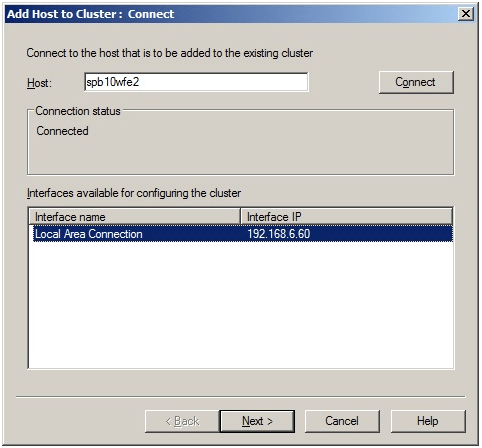 9.Connect to one host and add the cluster IP address. 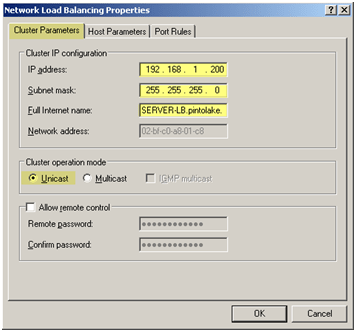 10.Select Multicast, the default is Unicast. 11. You can define the port rule, but I leave the default here. 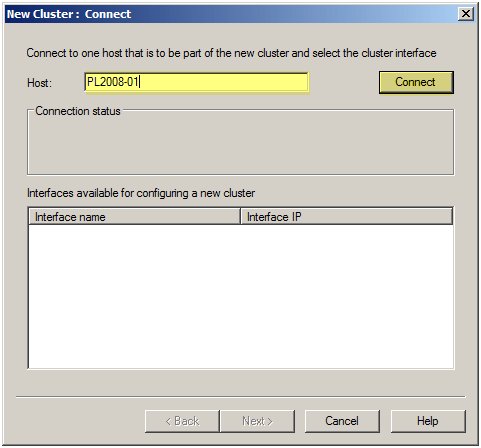 12.Add the other WFE server to the cluster. 13. Type the host name that to be part of the new cluster. 14.Set the priority to be 2. 15. Click Next, complete the configuration. 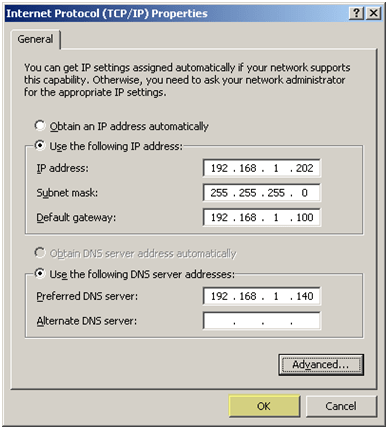 16.Create an entry in DNS for the cluster. 17. Set the binding for the site. 18. Modify Alternate Access Mapping for the default site collection from http://spb10wfe1 to http://cluster. Now it’s great, all configuration has completed, and you can access you site by the URL http://cluster. For most scenarios I would keep the default settings. The most important setting is probably the filtering mode. “Single” works well for most web application, it maintains a users session on one server so if the user server requests go to PL2008-01, PL2008-02 will continue to serve that request for the duration of the session. Go to the command prompt and type “wlbs query”, as you can see HOST 1 and HOST 2 converged successfully on the cluster. This means things are working well. The 2 servers we will be Load Balancing are SERVER01 and SERVER02. 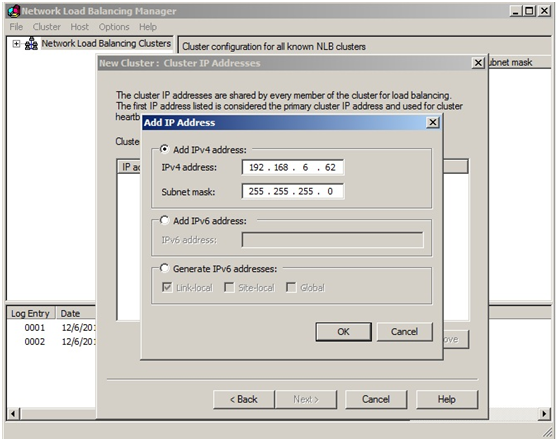 The virtual cluster name will be SERVER-LB. So if this was a web server users would go to http://SERVER-LB, depending how we configure NLB either SERVER01, SERVER02 or both servers will service the web request. There are 3 tabs, we will configure all three in this example. 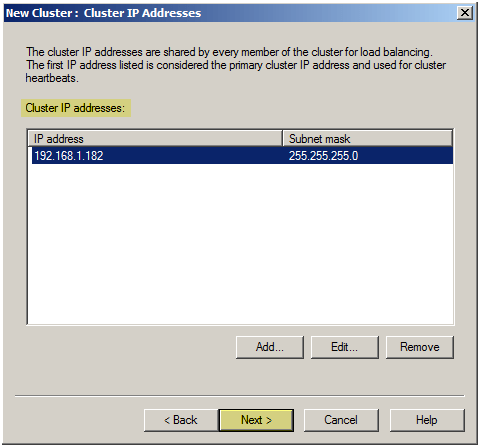 Enter the IP address of the cluster. We are using 192.168.1.200 in this example, the subnet mask is /24 (255.255.255.0). 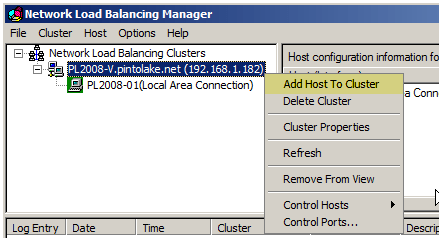 Enter a cluster name, let’s use SERVER-LB.pintolake.net. This name was made up and is used to identify the cluster by name, this name will have to be entered in DNS manually (I cover this later). 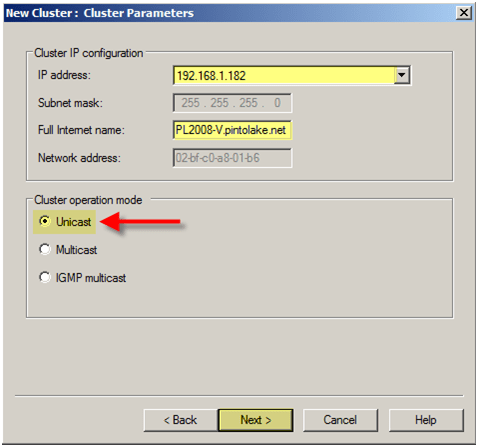 Select Unicast for the “Cluster operation mode” setting. Unicast/Multicast is the way the MAC address for the Virtual IP is presented to the routers. In my experience I have almost always used Multicast, which if you use you should enter a persistent ARP entry on all upstream switchs or you will not be able to ping the servers remotely. For most scenarios I would keep the default settings. The most important setting is probably the filtering mode. “Single” works well for most web application, it maintains a users session on one server so if the user server requests go to SERVER01, SERVER01 will continue to serve that request for the duration of the session. 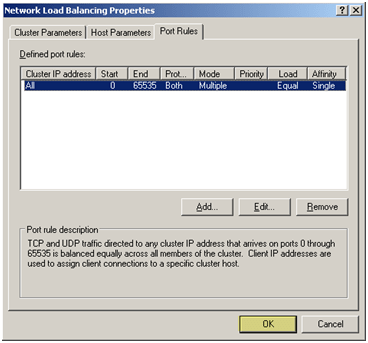 Enter the Priority (unique host identifier) – this is used to identify the nodes in the cluster. 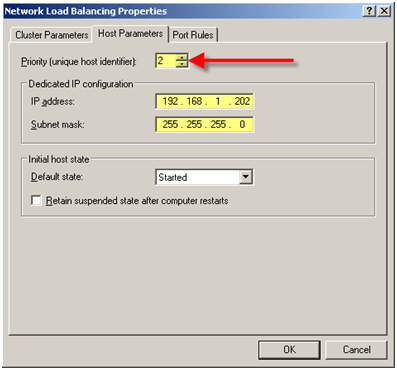 This should be different for each node in the cluster, if you have 3 servers you are load balancing then it would be 1, 2 and 3 for the 3 different servers. Since this is SERVER02 lets enter 2 because SERVER01 was set to 1. NOTE: NOT SEEING NODE 2? For client to be able to access the NLB cluster by name we need add it to DNS. 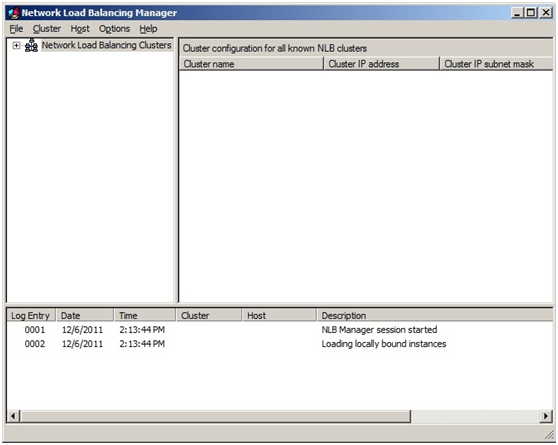 Microsoft’s NLB Clustering is kind of to High Availability Load Balancing what Natural Light is to the beer world. Both will basically get the job done, and on the cheap, but in the long run they might leave you with a wicked headache and wishing you spent a few extra dollars for a Sam Adams. A lot of my time at work recently has been spent researching and testing load balancing and fail-over solutions for a group of Windows based application servers. 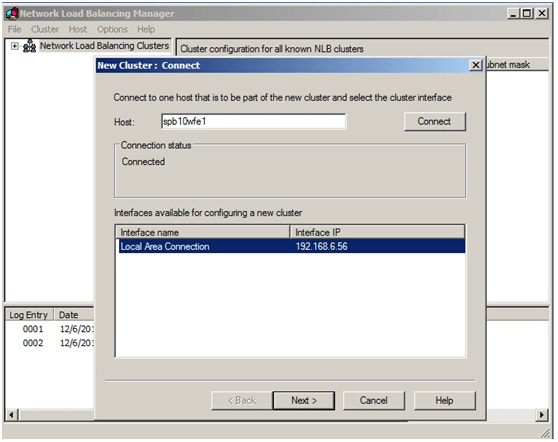 Having never had load balancing requirements before, an NLB clustering solution sounded good at first, especially being included free with the OS. However, I found that unless your environment exactly meets requirements, you may be better off not going down the MS NLB road. This brief overview of my lessons learned may help others also considering NLB solutions. 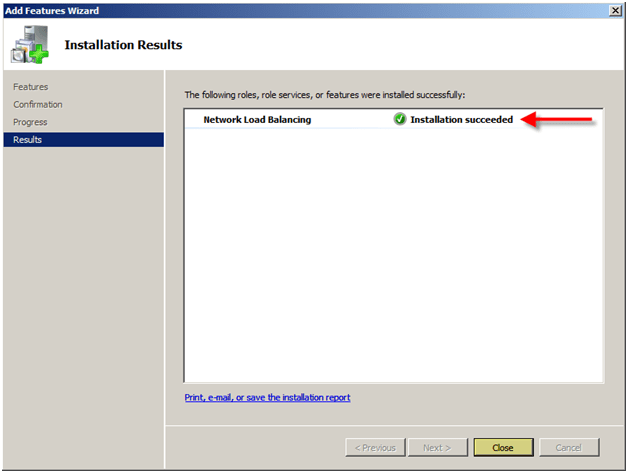 * Basically MS NLB works by assigning a virtual IP address (VIP) to the network adapter of each cluster member. Traffic is sent to the VIP, received by all cluster members, accepted by one, dropped by the rest. * MS NLB supports two configurations: unicast mode, or multicast mode. Unicast mode replaces the existing MAC address of all cluster members with a new cluster MAC address, which is shared by all nodes. Multicast mode adds the cluster MAC address to the node adapter, but also leaves the original one. With both methods, the nodes share an IP and MAC address, so that when a client asks “who has this IP address” (an ARP request), all nodes respond. * Unicast mode aims to be simple, and has the advantage of working across routers with no problems. However, this method has the negative side effect of flooding switch ports. MS-NLB hides the MAC address of outgoing cluster traffic, switches never learn what ports cluster members are attached to, so traffic destined for the cluster is flooded out all ports. This effectively turns a switch into a hub as far as cluster traffic goes, which can cause network issues with busy clusters. This can be overcome by adding static ARP entries on the switch (if supported), but that can quickly become a management nightmare. Another possible drawback to unicast mode is that cluster members cannot directly communicate with each other without adding a 2nd NIC. * Multicast mode attempts to address switch flooding by using IGMP Multicast support, which tells the switch to direct cluster traffic only to those ports with cluster members attached. However, this assumes the switch supports IGMP snooping and has it enabled. Also, many routers & layer 3 switches do not support this mode because ARP replies associate a unicast IP with a multicast MAC, which may or may not be against standards depending on whether you ask Microsoft or Cisco. No IGMP support means switch flooding. 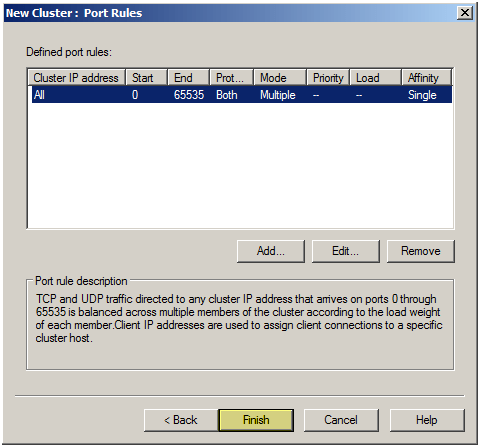 And no IGMP router support means no cluster access outside of that subnet unless a static ARP entry is used. * Planning to implement NLB in a virtualized environment adds complexity. The only one I can speak to from experience is VMWare ESX. They support both modes, however unicast is not recommended. By default, unicast doesn’t work because the virtual switches learn MAC addresses despite the cluster masking outbound traffic, which breaks clustering. This can be overcome by disabling the NotifySwitch feature, but that in turn breaks operations like VMotion. Multicast works, but is subject to the same problems as mentioned above, and made more complex by the many different physical / virtual topologies. I certainly don’t intend to demean Microsoft on their products. Microsoft could have easily not included it with the OS, leaving the only option as an expensive hardware load balancer. MS NLB does work, and providing you are aware of and can address its limitations, you may find it to be an effective low cost load balancing solution in your environment. On the flip-side, if you find that the management and overhead is too much and you need a hardware LB device, there are a number of powerful and relatively inexpensive possibilities. The ones from Barracuda Networks are a good choice. There are also other factors not covered here that need to be taken into account; session support, affinity, and redundant network topologies to name a few. So make sure to do adequate research, up to and including packet captures to prove intended operation.